Whatever you are building, BBC Foundations & Flatwork provides you with the finest in quality work so you know you are starting with a strong foundation. Our experienced professionals will give you a quality foundation at an affordable price. When you have your concrete walls poured, make sure they are poured by the experienced professionals at BBC Foundations & Flatwork. Your walls will be of the highest quality construction and they will be ready fast. We offer affordable efficient service so you can get on with your project. 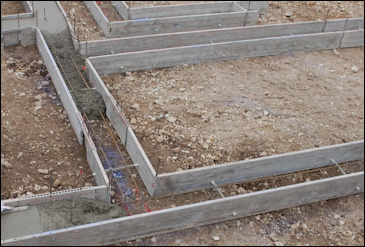 Call today for a FREE estimate on quality footings and concrete walls.